The Fiat Linea Classic is a beautiful car, make no mistake about it. The Linea has been sold for quite a few years in the Indian market though it has not really set the charts on fire in terms of sales. However, there’s no denying that it is a beautiful car. However, the expensive price tag of the regular Linea has put it out of reach of the masses. 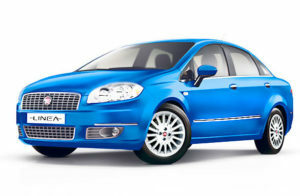 Fiat has now taken a cue from Ford and has launched a version of the Linea at a more affordable price point. The company has chopped prices by removing some features instead of developing a whole new sub 4m Linea. check EX Showroom Price of Linea Classic.